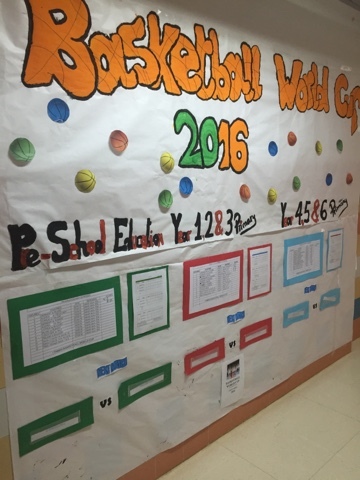 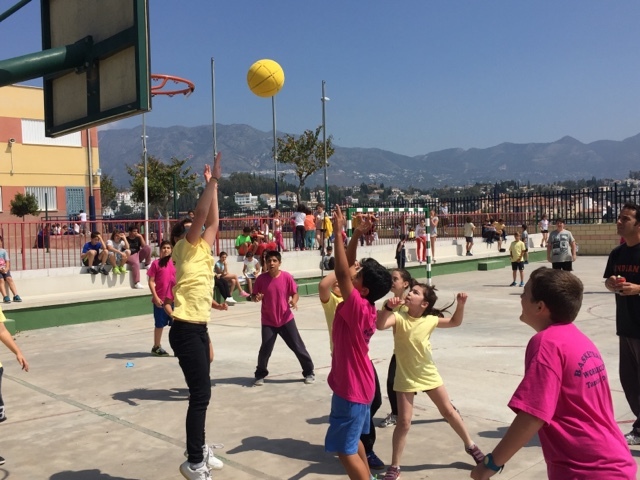 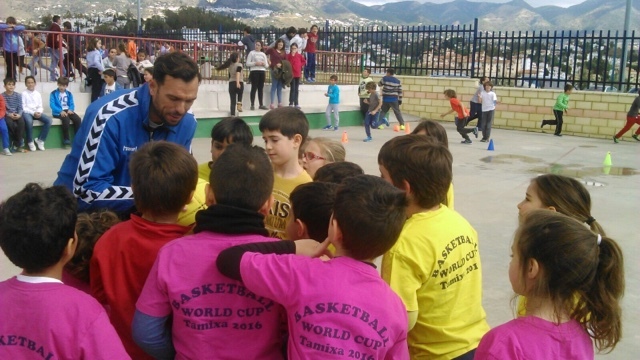 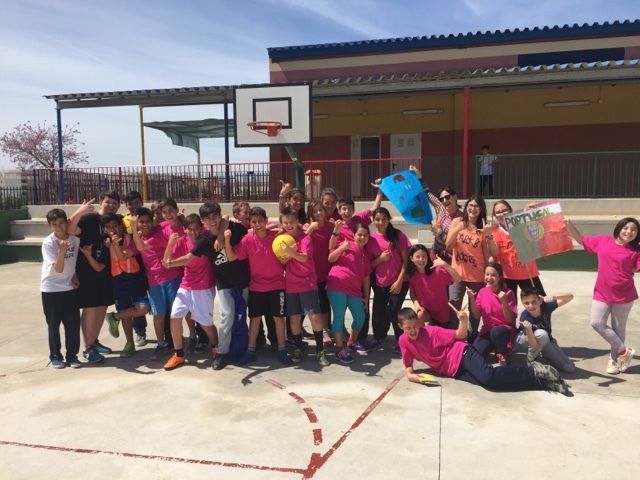 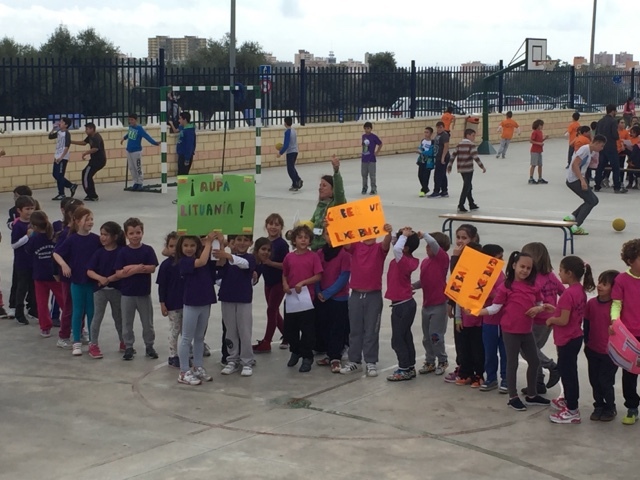 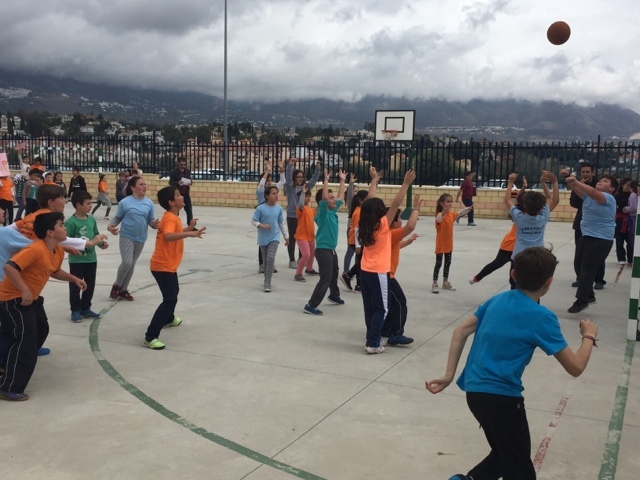 Yesterday CEIP TAMIXA began its Basketball World Cup with the matches: Luxembourg 2 vs Poland 0 and Hungary 0 vs Slovakia 6. 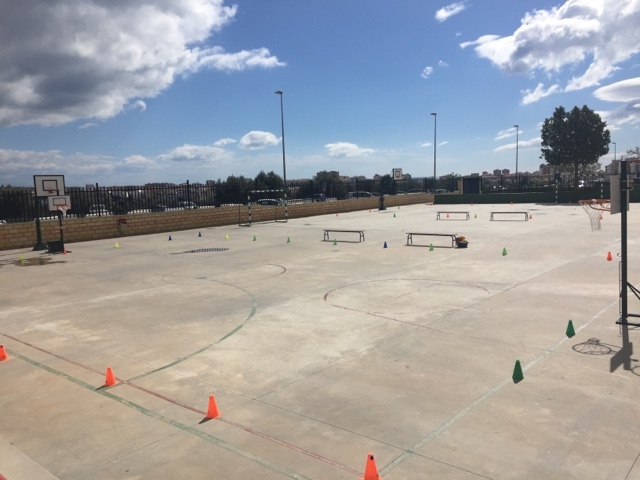 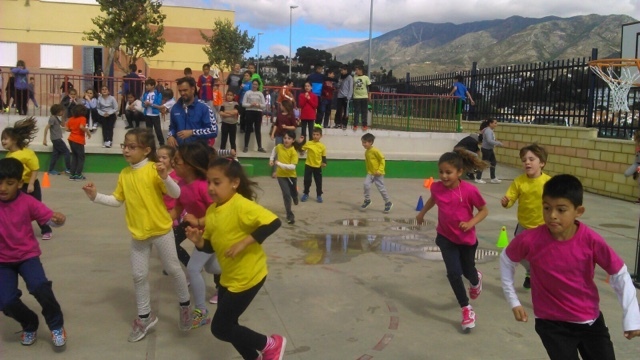 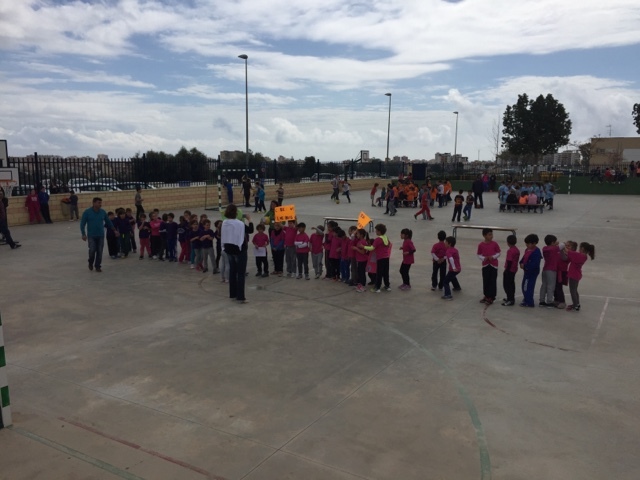 Throughout this third term, there will be 3 groups: Infantil (each Wednesday), years 1, 2 & 3 (each Tuesday) and years 4, 5 & 6 (each Friday) playing in the playtime. 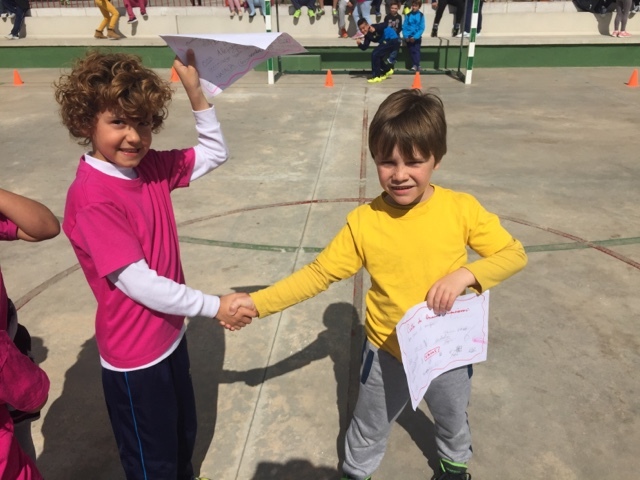 Students carry their banners with their countries names and captains swap a friendly letter before matches. 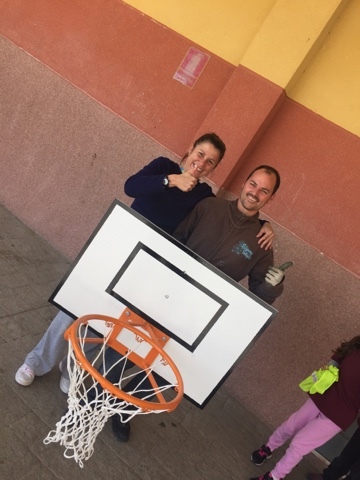 Pe dept and the school want to thank Juan Tejón (caretaker) for the amazing construction of our two baskets. 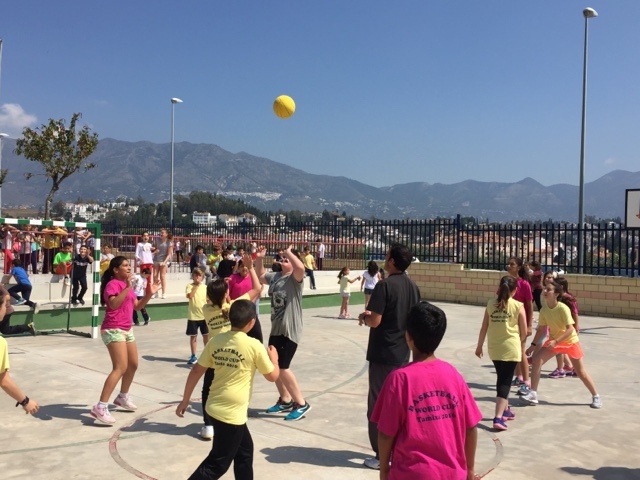 Portugal broke the deadlock in the free throwing line. 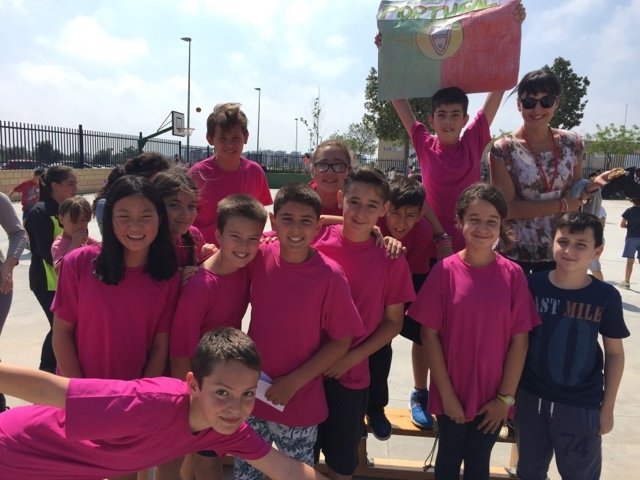 Portugal goes to the final. 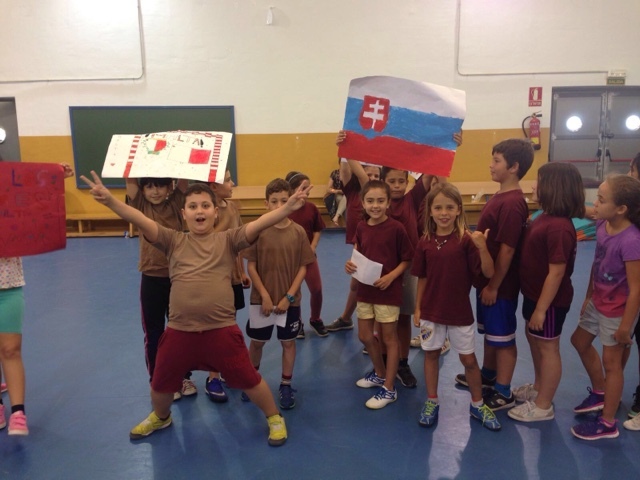 Czech Republic has been the final winner of Infantil group. 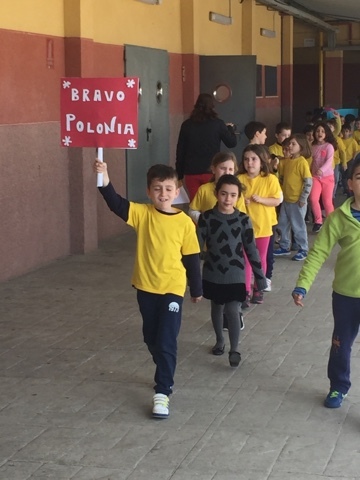 MALTA has been the final winner of year 1, 2 & 3 of primary group. 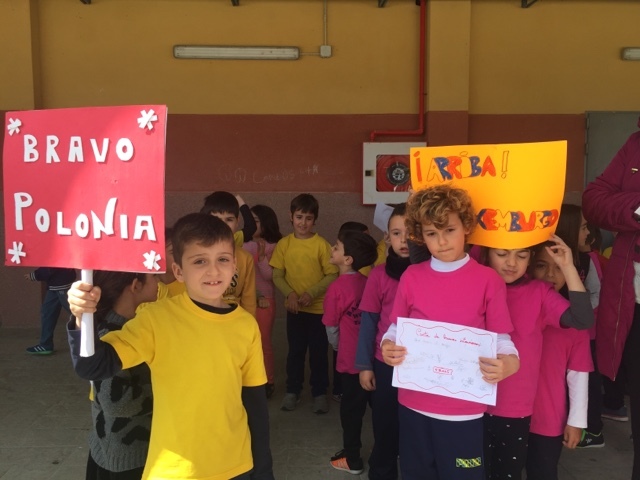 Croatia (4oA) 0 vs Portugal (6oC) 8. 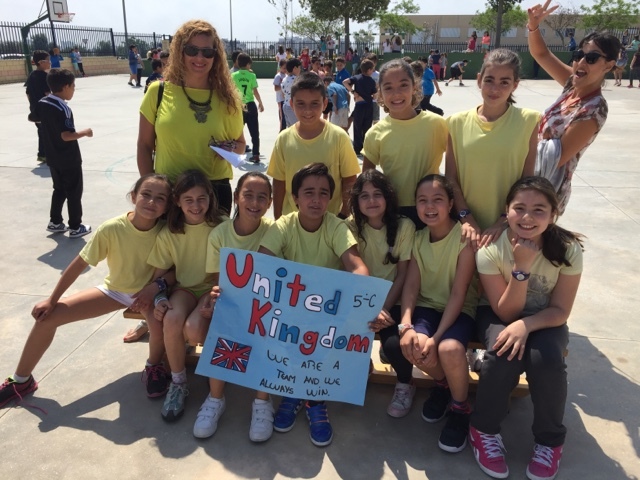 PORTUGAL has been the final winner of year 4-5-6 group. 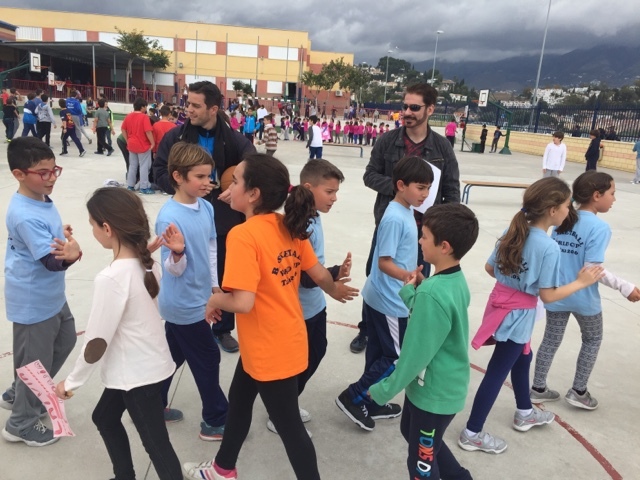 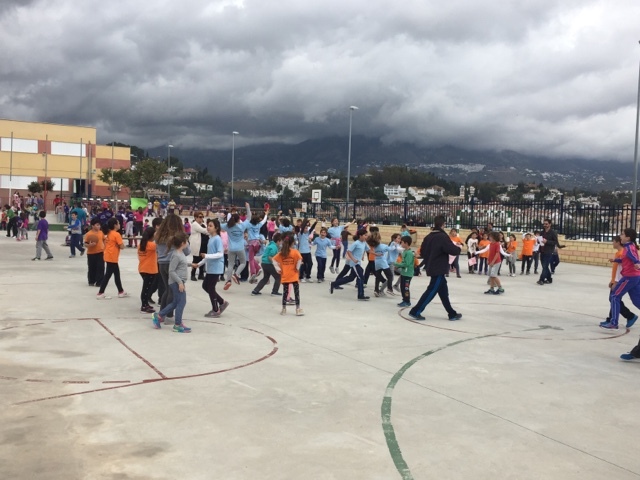 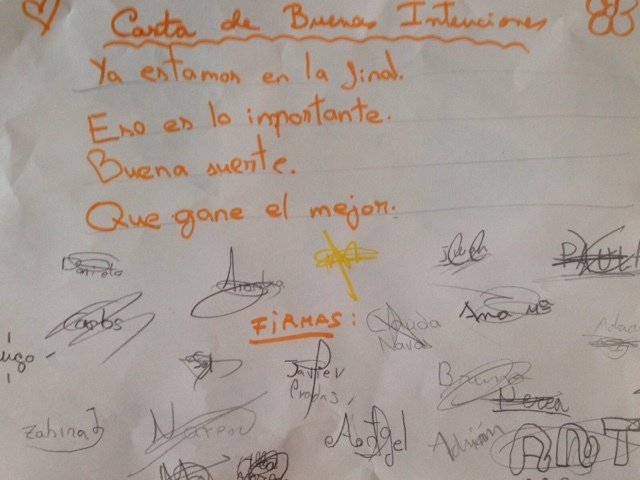 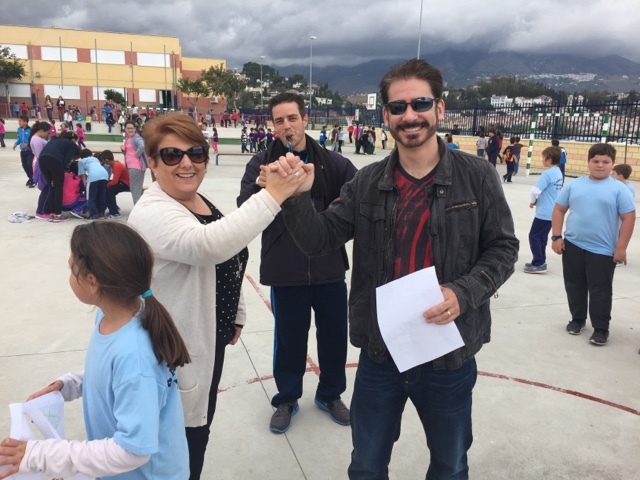 All the students and staff of the CEIP Tamixa have a lovely time sharing a lot of experience. 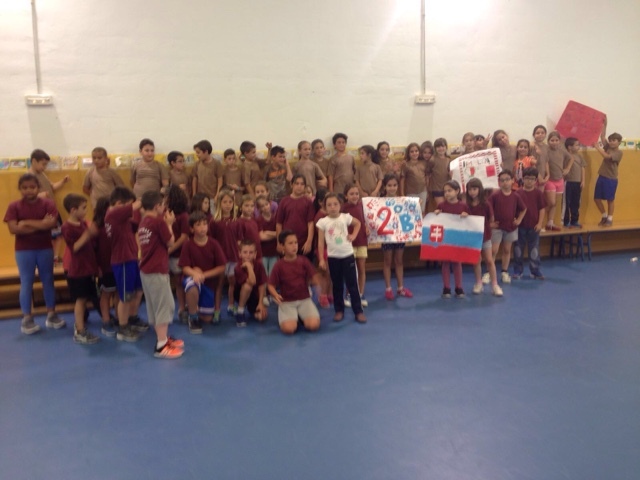 - Presentation of our World Cup Mascot. 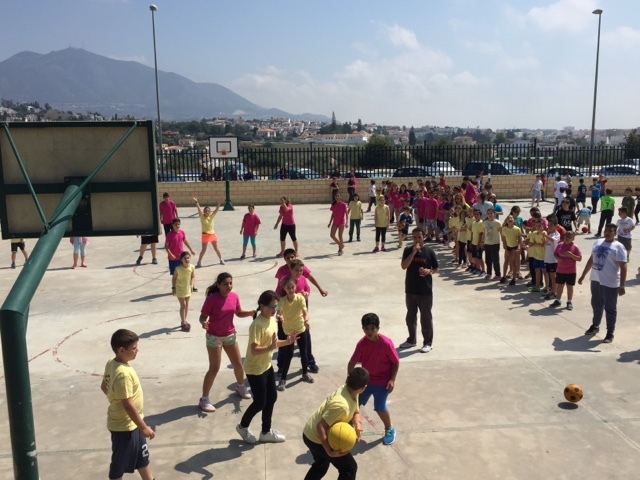 - A basketball match: Winning teams vs Staff teams. 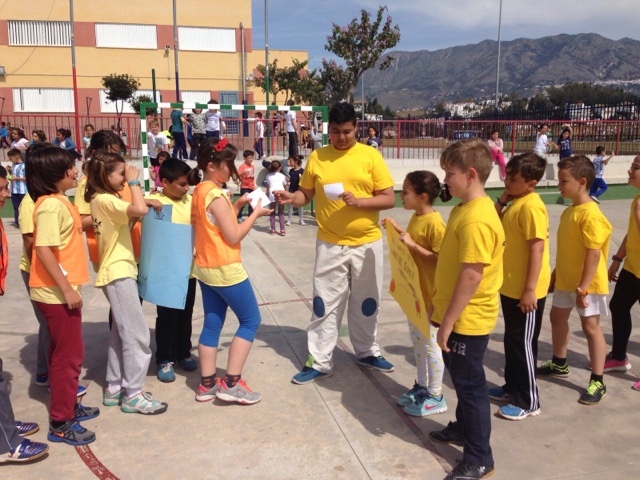 One of the Tamixa PE teachers.